Well, actually, it's never too hot. But, Christ on a cracker, it is bloody hot. Apparently everywhere. 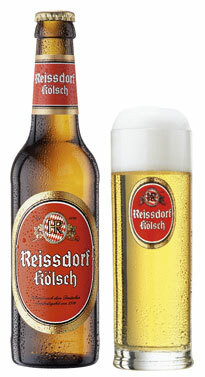 Might I suggest instead of wine a refreshing Kolsch? The Germans seem to have nailed the art of refreshing beer centuries ago. And as much as I love supporting the infinite number of locally owned and sourced breweries, none can top the restorative powers of an ice cold Kolsch.